surprise everyone! get your free cupcakes! Today was so fun! 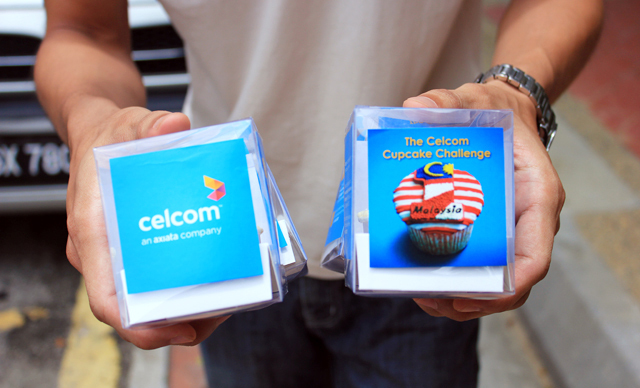 I went to catch the free cupcakes given out by Celcom at the special locations (click to for list of locations). Finally after walking around, I saw the Mr.Cupcake (I call him that because he's giving out cupcakes haha) a.k.a baker on the road. 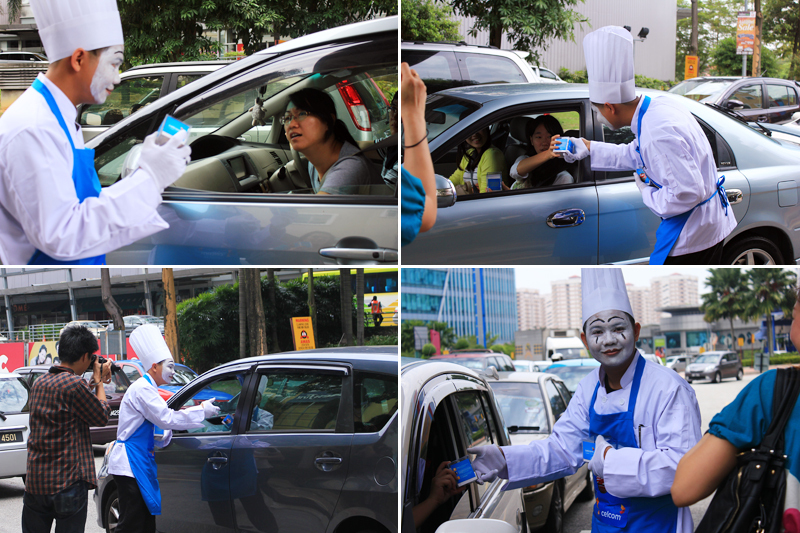 He has wearing a blue Celcom apron and giving out cupcakes in boxes! I ran to him and asked him for one. Then I stayed and stalked him giving out free cupcakes to motorist at the road between Ikano & Curve. I can see children being really excited and poking out the windows to see Mr.Cupcake. Some motorist were quite suspicious of him too, I don't blame them haha. This is a rare sight to be seen here! They were here only for less than an hour before heading to the next route on their list. I wonder who else was caught by surprise? readers if u got the cupcake, please tell me how u feel! Taste good? Can share ... Hehehe jk...I want to get the cupcake book u mentioned..my bf will scream at me for having too many books .